Amazon has sold a lot of Echo Dots. Like a crazy, silly, unfathomable number of the things. 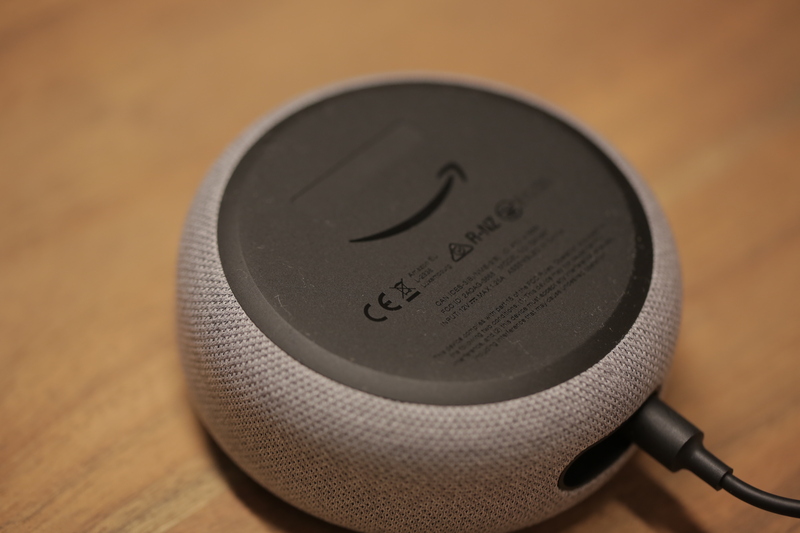 Over the past two generations, it has arguably become the single-largest driver of the smart speaker craze. There’s nothing exceptional about the product, of course. It’s a simply designed hockey puck of a product, designed to mostly stay out of sight. But it’s a hard thing to resist — even for those who’ve been reluctant to embrace the category. It’s a dip in the water, a gateway drug into the strange new world of smart speakers. So, how to improve upon Amazon’s best-selling device? The trick is adding to the experience while not impacting its biggest selling point: the fact that it’s $50. That sort of price point gives you considerably less wiggle room than with, say, a $1,000 phone. Announced at an event in Seattle last month alongside eight million other new Alexa products, the new Dot marks more than just a simple upgrade to the line. It represents a way forward for the Echo line. It’s a product that bears Google’s unmistakable influence, while pointing toward the place the modular speaker system will occupy in the smart home going forward. It’s the mark of Google that really strikes you right out of the box. The first two generations of the product were utilitarian. They weren’t much to look at, but rather a gateway to Alexa, designed to be hidden away. 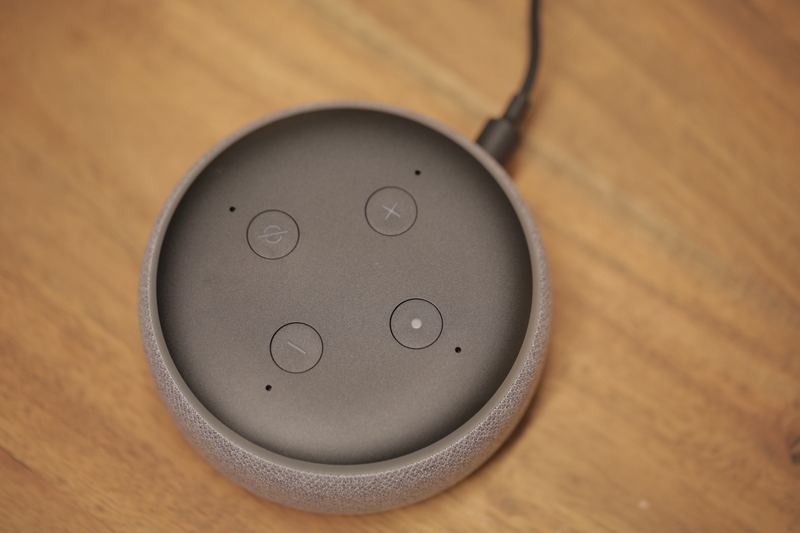 Granted, fabric covers are all the rage now in consumer electronics, but the new Echo’s cloth perimeter bears more than a passing resemblance to Google’s Home Mini. Amazon was understandably shaken by Google’s rapid ascent in the category. 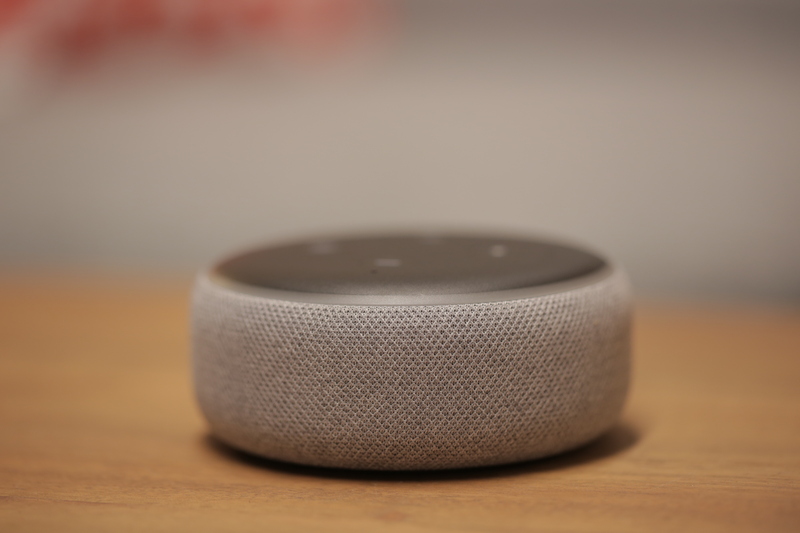 Days before the Alexa event, Strategy Analytics noted that the Home Mini had surpassed the Echo Dot as the best-selling smart speaker for the quarter. It’s not exactly panic mode, but it’s a pretty clear indication that it’s time for an upgrade. While the new Dot draws some clear aesthetic influence from the Home line, I prefer Amazon’s take. It splits the difference between old and new in a nice way. The fabric cover doubles as a speaker grille, running along the outside of the product. The top, meanwhile, maintains a familiar design language, with a rounded matte black top bearing a quartet of physical buttons. The light-up status ring runs flush between these two surfaces. The new Dot is notably larger than its predecessor — a bit of a surprise, given that the more compact size was the second-gen Dot’s biggest selling point. That said, the fact that the new device looks nice enough to be displayed out in the open no doubt emboldened the company to make it a bit larger. It’s a solid thing, too. I was a bit surprised by the heft of the puck — you could do some serious damage with the thing. One of the upshots of the larger footprint is the volume increase. The new Dot is capable of getting 70 percent louder than its predecessor (by Amazon’s count). 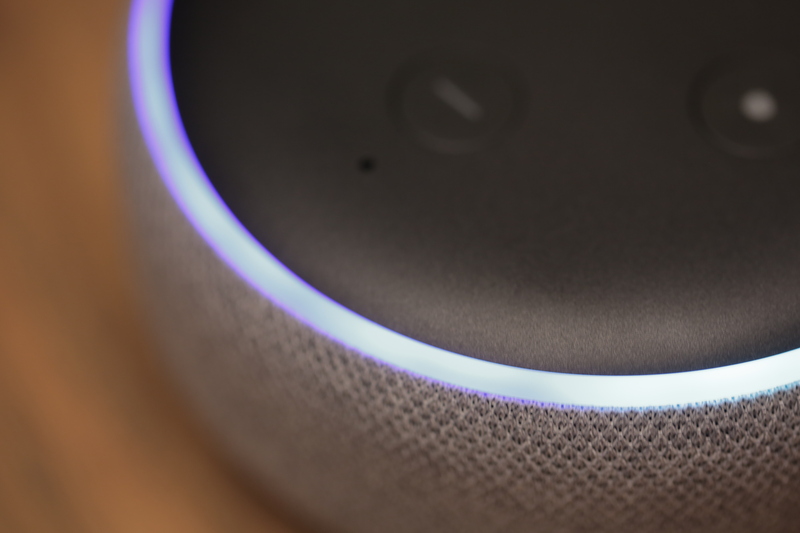 The move finds Amazon putting a stronger emphasis on the second part of the “smart speaker equation.” The sound system on earlier Dots wasn’t built for much beyond giving Alexa voice. That’s why the company built in an auxiliary output. That’s still here, of course, but the built-in sound output is much improved. It’s also a lot less distorted at top volume. I still wouldn’t use it as my default speaker, but the Dot’s role in Amazon’s new à la carte sound system is an interesting one. The company sent along two Dots for the sole purpose of trying out the new stereo pairing feature — and I’m glad they did. It’s probably the most interesting addition to the line. In the revamped Alexa app, you’ll find the Create a Speaker Set option under the Settings tab. From here, you can turn two Dots into a stereo pair. The setup is simple — though I did run into some trouble on our office Wi-Fi. 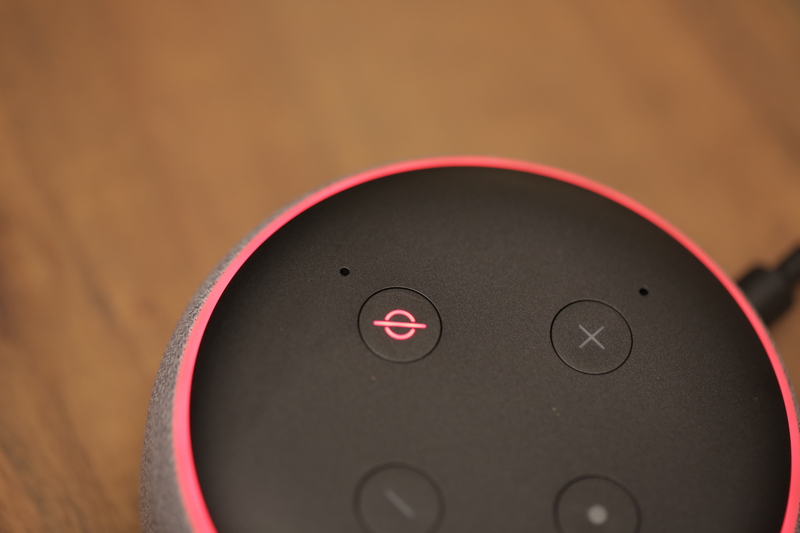 Both Echos need to be on the same network in order for the feature to work properly, and the app wasn’t quite able to discern that they, in fact, were. The app will walk you through the process and let you determine which device will handle which channel of the stereo track. Paired together, it’s a nice experience — kind of a small-scale home theater experience. Add in the new Echo Sub and it’s even better. Keep in mind, of course, that you’ve just spent $230. Things add up fast. Of course, that’s still $100 cheaper than the HomePod. Of course, it’s unfair to compare the two. Amazon and Apple’s speakers are in entirely different leagues. But the new Dot and other additions to the Echo home stereo system represent a very Amazon approach to the category, giving users the ability to mix and match devices, while still maintaining a low price point. The third-generation Dot isn’t a complete reinvention of the wheel, but it’s big enough to warrant an upgrade for many users. Though perhaps “upgrade” isn’t the operative word here. Given Amazon’s ultimate goal of an Alexa device in every room, it’s easy to see it becoming yet another addition to your growing collection.